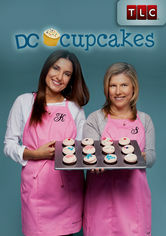 DC Cupcakes (2010-2011) on Netflix USA. Check worldwide Netflix availability! Sophie and Katherine face the challenges of a booming cupcake business: increase output without compromising the quality that made them famous. Two sisters, one cupcake business. Two women following their dreams. The suspense is hair-raising.